Small businesses often do not have the budget to hire a marketing agency so they have to do the marketing themselves. However, not all entrepreneurs possess the necessary know-how to effectively advertise their products or services. Precious capital is wasted on endeavors that fail to generate revenues. 1. In 2018, is it still worth it to invest in direct mail marketing? Yes, it certainly is worth it. Direct mail marketing provides a 1,300 percent return! On average, US marketers allocate $167 per person on direct mail marketing resources every year. The investment generates a $2,095 bump in sales on average. 2. 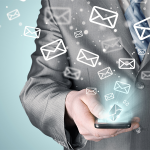 Are direct mails opened more than emails? Yes. 80 – 90 percent of direct mails are opened while only 20 percent of emails are opened on the high end of the spectrum. 3. How many US adults made a catalog purchase last year? In 2016, more than 100.7 million US adults, or 31 percent of the US population, made a catalog purchase. 4. 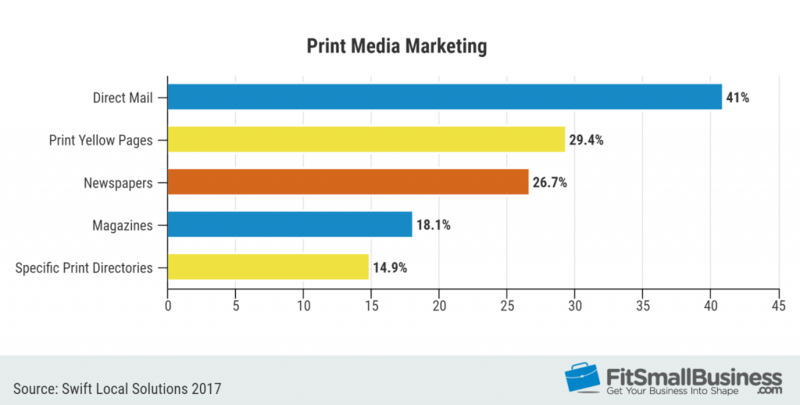 Is print media advertising still relevant for small businesses? 5. 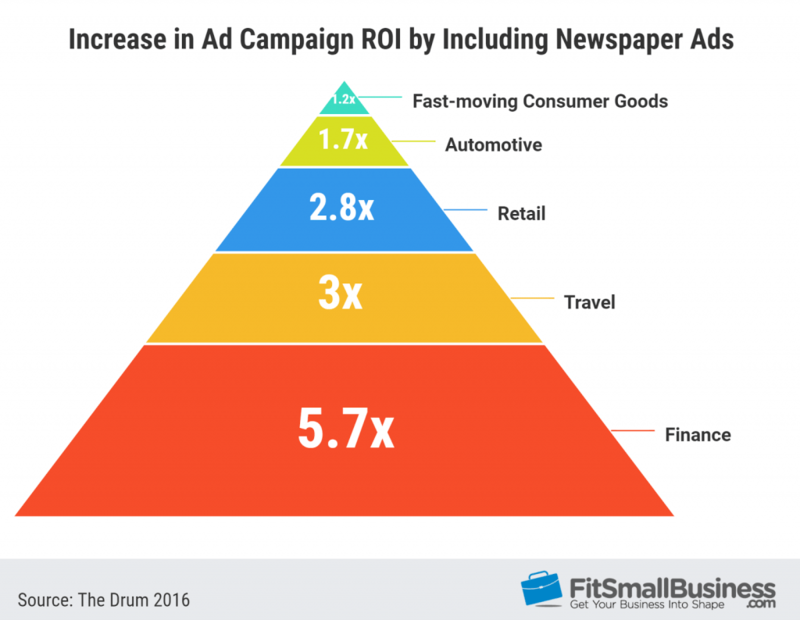 Does newspaper advertising increase the effectiveness of an overall ad campaign? 6. Should small businesses consider billboard marketing? Yes, billboards are difficult to miss, and they encourage people to take action. Nearly 7 out of 10 consumers formulate shopping decisions on their driving commute. Furthermore, 3 out of 10 drivers was prompted by a billboard advertisement to visit a shop, restaurant, or business. 7. Do younger customer demographics still listen to radio? Yes, they do as radio reaches 88 percent of Generation Z and 93 percent of Millennials per week. 8. Which age group watches TV the most? 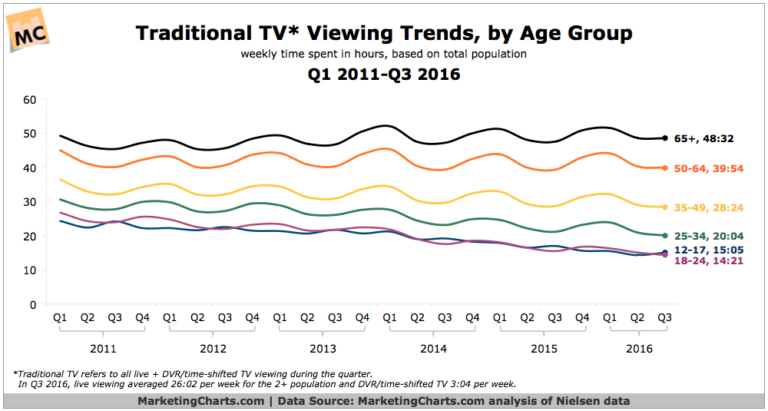 The age group of 65+ leads TV time as they spend 48 hours and 53 minutes per week watching television. 9. 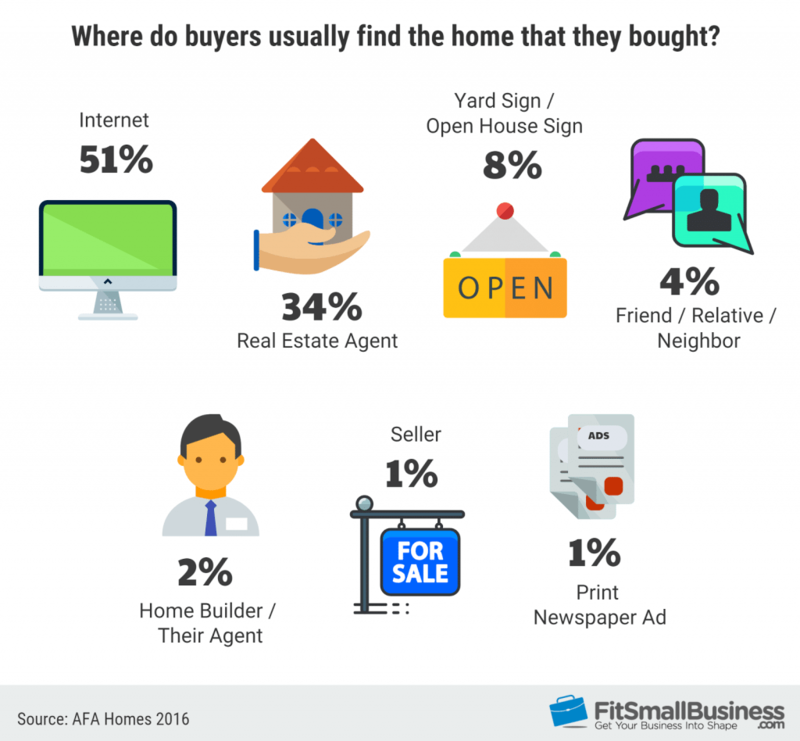 Where do buyers usually find the home that they bought? 10. What percent of homebuyers want to see pictures of properties online? An overwhelming 8 out of 10 homebuyers want to see images of the property online before considering whether to take an in-person inspection. 11. Do realtors use social media to market their listings? In general, no because only 16 percent of real estate agents leverage social media to advertise their listings. 12. Do millennials rely on word of mouth? Absolutely. 92 percent of 18-34 year-olds claim that they ask for suggestions from family and friends when thinking about buying a product. 13. Are referral programs effective in retaining customers? 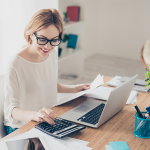 Yes, they are as 78 percent of respondents with running referral programs claimed that customers who were referred are more loyal than those acquired through other methods. 14. What is the average return on investment of email marketing? For every $1 spent on email marketing, businesses see an average return of $38. 15. 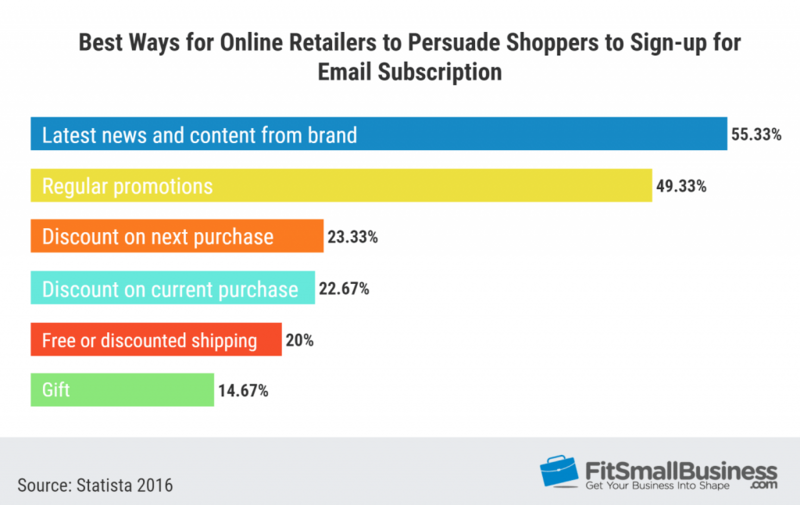 What are some of the best ways for online retailers to persuade shoppers to sign up for an email subscription? 16. Do marketing professionals consider influencers as an effective marketing strategy? Yes, they do. 8 out of 10 professionals in marketing and communications all over the world launched at least one influencer campaign from 2015 – 2016. Those who had already done it were satisfied with the results–81 percent claimed that influencer engagement was effective. 17. Are social media influencers effective in driving sales? A study reveals that social media influencers have as much influence as a neighbor or friend in driving sales. An estimated 40 percent of respondents claimed that they bought a product online after watching an influencer use it on social platforms such as YouTube, Twitter, Vine, or Instagram. 18. Should small businesses invest in local SEO? Investing in local search engine optimization (SEO) for small businesses is a must because it allows you to increase your search engine visibility to shoppers looking for stores or services within a certain geographic area. A study reveals that 50 percent of consumers who conduct a local search on their smartphone head out to visit a store within one day. 19. What percent of local mobile searches lead to a purchase? An estimated 8 out 10 local mobile searches result in a purchase. 20. Do people spend more time on sites with video? Yes, they do. A study discovered that users spend 2.6x more time on average on sites with videos than those without. 21. 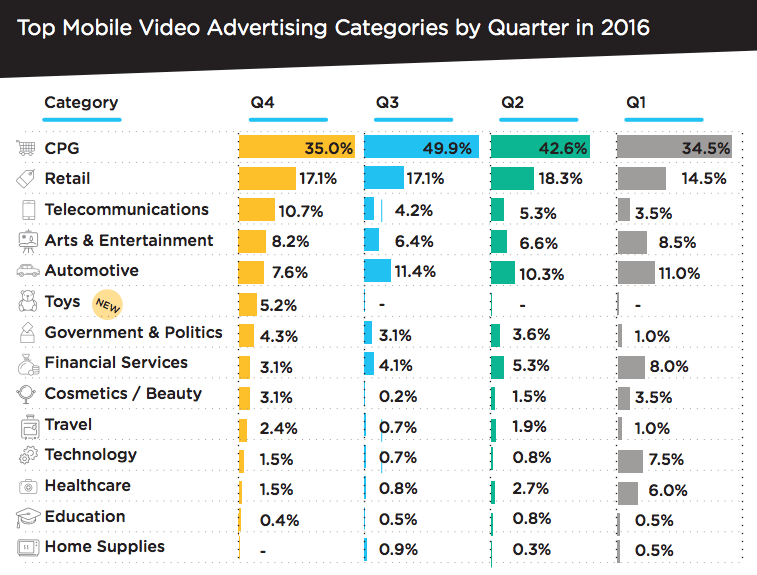 What are the top three advertising categories in mobile video? The top three advertising categories in mobile video include consumer-packaged goods, followed by retail, and telecommunications. 22. Should marketers include subtitles in their videos? Yes, they should as 85 percent of video views occur without sound. 23. Why do marketers use interactive content? 75 percent of marketers polled say that educating the buyer is the top reason to use interactive content (e.g. quizzes and surveys), followed by engagement, lead generation, and brand awareness. 24. Do marketers think that interactive content is effective at converting traffic? Yes, 7 out of 10 marketers state that interactive content is effective at converting visitors. 25. 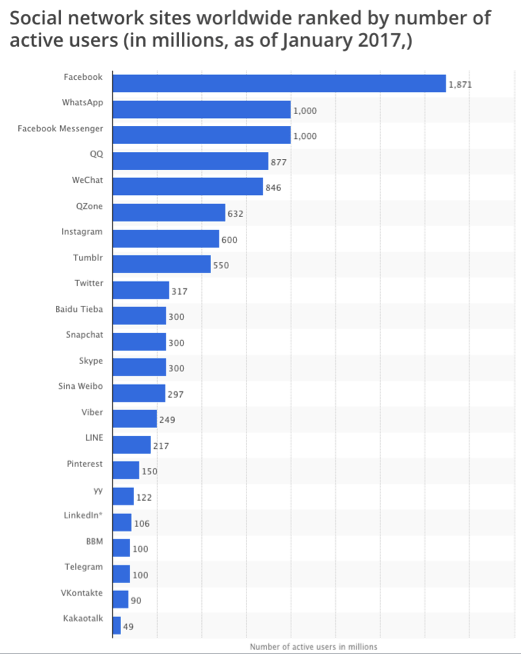 What social networks lead in terms of number of active users? Facebook leads the pack with 1.8 billion users, followed by WhatsApp at 1 billion, and QQ (A Chinese social media platform) at 877 million. 26. 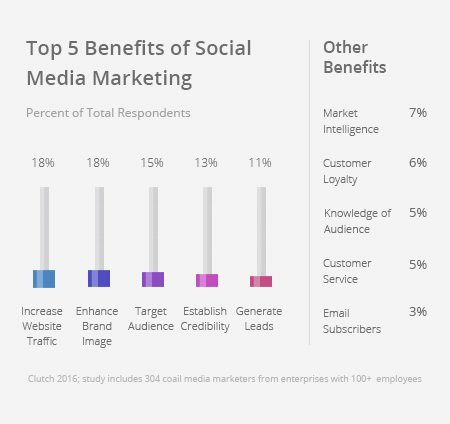 What are the top benefits of social media marketing? According to media marketers polled, the top benefits of social media marketing are increased web traffic, enhanced brand image, and targeted audience. These statistics offer insights on current marketing channels and methods. Consider these stats when creating your marketing plan so you can make the most out of your precious capital. Do you have other interesting marketing statistics? Feel free to share them in the comments section below.